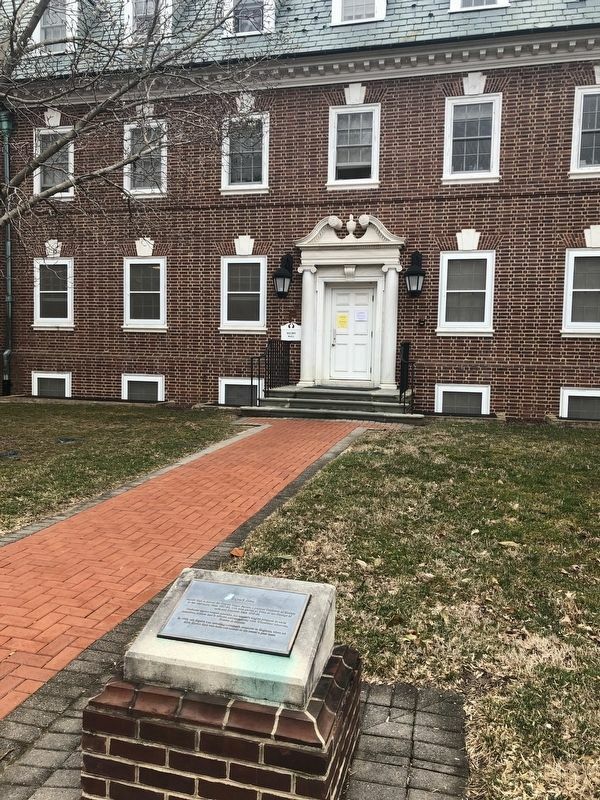 Squire Hall is named for Francis Hagar Squire, a popular Professor of History at the University from 1927-56, who also served as Dean of the College of Arts and Sciences from 1945-56. Professor Squire helped establish the master's degree program in early American culture that is offered collaboratively with Winterthur Musuem, Carden & Library. 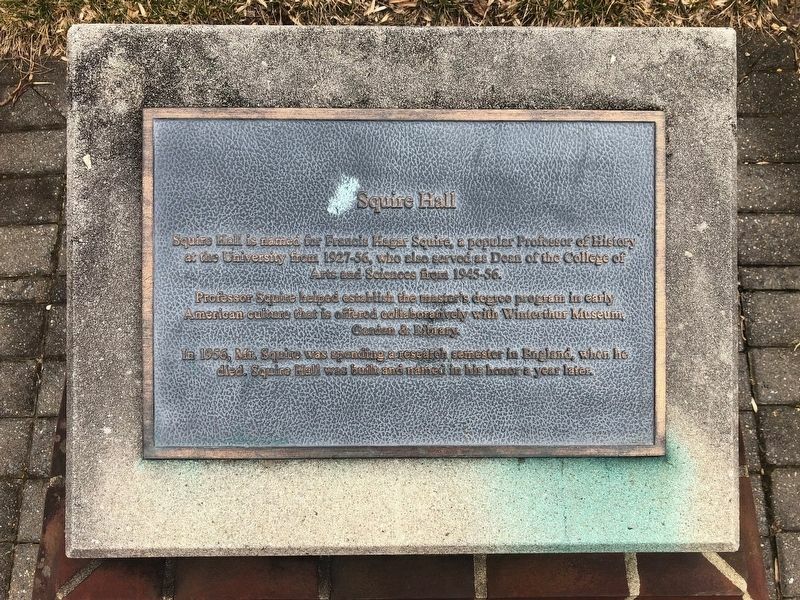 1956, Mr. Squire was spending a research semester in England, when he died, Squire Hall was built and named in his honor a year later. Location. 39° 40.534′ N, 75° 45.108′ W. Marker is in Newark, Delaware, in New Castle County. Marker is on The Green north of East Park Place, on the left when traveling south. Touch for map. Marker is at or near this postal address: 282 The Green, Newark DE 19716, United States of America. Touch for directions. marker); Kent Hall (within shouting distance of this marker); New Castle Hall (about 400 feet away, measured in a direct line); Winifred J. Robinson (1867-1962) (about 400 feet away); Beatrice Hartshorn (1897-1972) (about 400 feet away); Annie Jump Cannon (1863-1941) (about 500 feet away). Touch for a list and map of all markers in Newark. More. Search the internet for Squire Hall. Credits. This page was last revised on March 16, 2019. This page originally submitted on March 16, 2019, by Devry Becker Jones of Washington, District of Columbia. This page has been viewed 37 times since then. Photos: 1, 2. submitted on March 16, 2019, by Devry Becker Jones of Washington, District of Columbia.